Each holiday it seems like we build up more and more candy. Sometimes it's nice to give non-candy kids Valentines, isn't it? 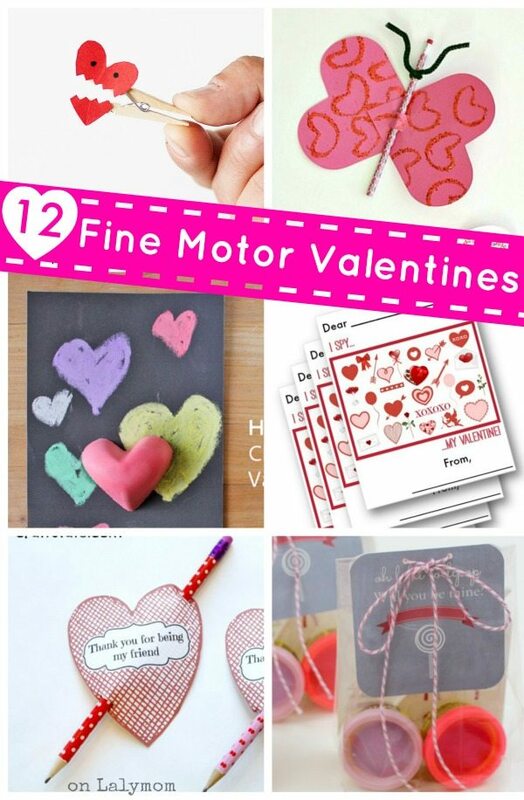 This Valentine's Day collection has the extra bonus of working on those awesome fine motor skills! Click through to each one for any directions or free printables involved! The only problem is deciding which one to make first. I hope you found some fun Valentine's Day cards to make for your classmates at school or to pass out to friends! 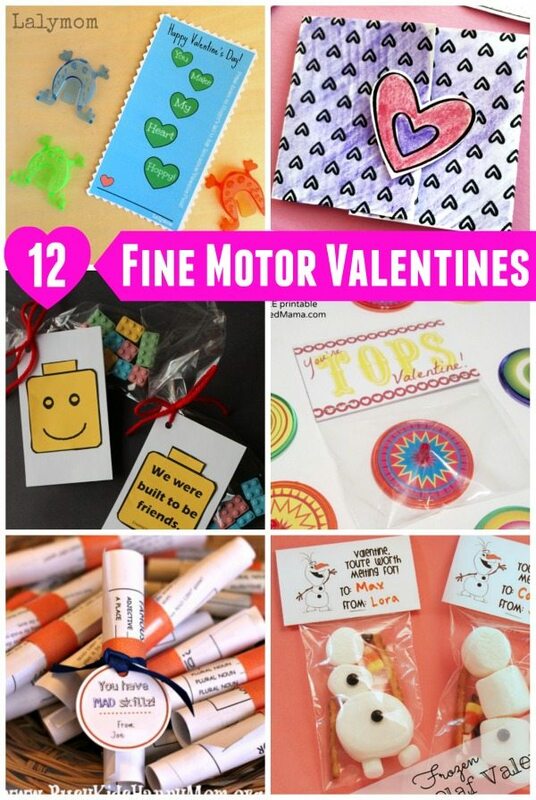 What valentines are your kids making for their buds? 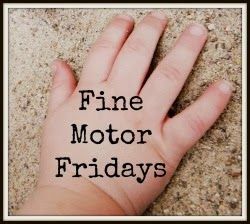 We are back for our weekly collaborative series, Fine Motor Fridays! That means we have another set of playful fine motor activities! Be sure to click through and see what everyone has been up to! And be sure to check out our Fine Motor Book with a whole chapter of seasonal and holiday Fine Motor Skills ideas!